DEF Promotions organised Hong Kong’s biggest boxing events with 8000 audience. DEF Promotions’ events gather top level professional boxers from all over Asia. DEF Promotions’ events are at the highest quality and comply with international standards. DEF Promotions promote Hong Kong boxers to international level. DEF Promotions supports and promotes aspiring boxers in Hong Kong since 2011. In 2006, when overseas casino companies were granted gambling licenses in Macau, Jay Lau predicted that because of the influx of foreign casino investments, boxing will eventually be led to the gambling city. Thus, in 2011 he founded DEF Promotions, where he dreamed of being the pioneer and resultant leader of professional boxing in Asia. For several years now DEF Promotions both promoted and trained aspiring boxers in Hong Kong. In 2011, DEF Promotions organised Tuesday Night Fights, the first ever professional boxing event in Hong Kong, featuring both local and overseas boxers. 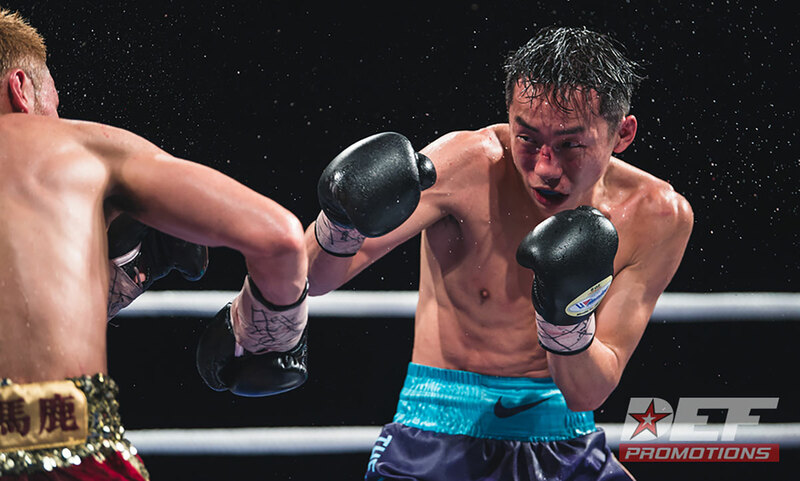 While professional boxing was not immediately met with grand fervour and excitement from the locals, Jay Lau and DEF Promotions were confident that they could change the narrative in their favour. Today, the image of boxing has completely changed, even having big name companies such as Nike, Huawei, Tai Hing, Mass Mutual, and HKBN endorsing our boxers. 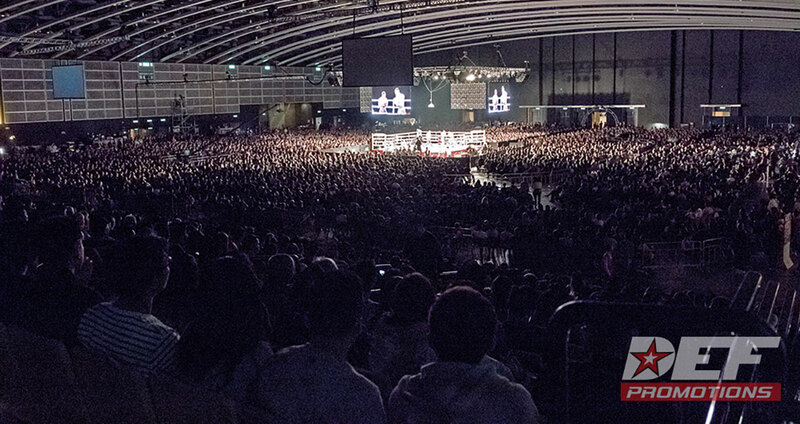 From humble beginnings of 360 seats in 2011 at the Kowloon Bay International Trade and Exhibition Centre, to a staggering 8000 seats in 2017 at the Hong Kong Convention and Exhibition Centre—the most prestigious and the most expensive exhibition venue in Hong Kong—this shows DEF Promotions’ ability to organise and promote major boxing events. 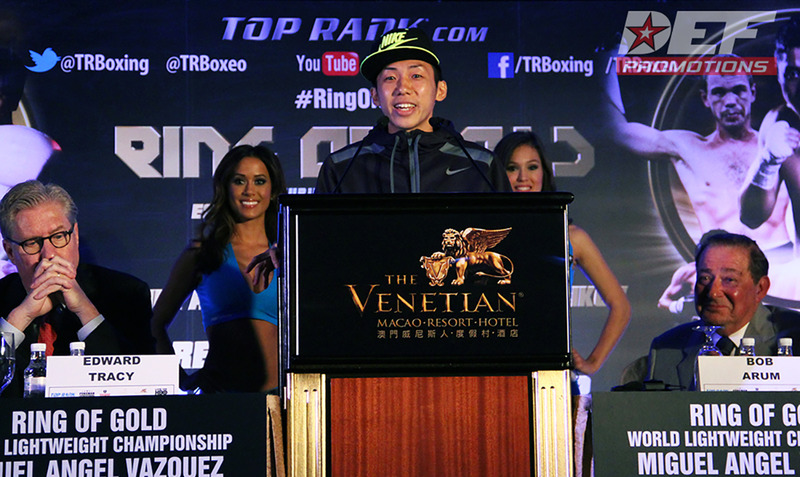 DEF Promotions also built and promoted Rex “The Wonder Kid” Tso to become a Top 10 boxer in all four major sanctioning bodies from 2015 to 2017, including being the number one ranked boxer by the World Boxing Organisation. Throughout our history, DEF Promotions has worked with plenty of top promoters both within Asia and worldwide: Ricky Hatton of Hatton Promotions, Watanabe Promotions, Singwancha Promotions, Highland Promotions, and Dragonfire Promotions. Additionally, and perhaps most importantly, DEF Promotions was able to work with legendary promoter Bob Arum of Top Rank Inc., even being able to co-promote with them on two events in Macau. DEF Promotions constantly takes pride in ensuring that our events are held at the highest of qualities. Not only do we ensure our fights are to the standards of the rules of the Hong Kong Professional Boxing Board, but we also work very closely with the four major sanctioning bodies: World Boxing Organisation, World Boxing Council, World Boxing Association, International Boxing Federation. DEF Promotions believes in the growth of professional boxing in Asia. With an abundance of talent from many different Asian countries such as Japan, Philippines, and Thailand, it is our wish and mission to organise all of Asian professional boxing under one cohesive system. We strongly believe that with a proper organisation and the right guidance, professional boxing can be just as popular in Asia as it is in the other side of the world. Just drop us a line. We will respond to you as soon as possible.